Largest, accessible, historic cradle of Croatia, vibrant towns, good beaches, special dog-friendly beach, water sports, 8 zip lines. Krk is a northern Adriatic island positioned in the middle of Kvarner Bay. It is the largest and the most accessible island in Croatia, conveniently linked to the mainland by a bridge. It has its own airport, the Rijeka airport which is at the northern end of the island, just 2km from the bridge. Of special historic importance to Croatia, Krk island holds several ancient monuments with a particular script called "Glagolic" - the Baska Tablet, the Statute of Vrbnik and the Missal of Vrbnik. For its good climate, high historic importance and its natural beauty it has been known as "The Golden Isle" and in 2012 Krk Island was listed in the World's Top Ten Islands by Cntraveller magazine. 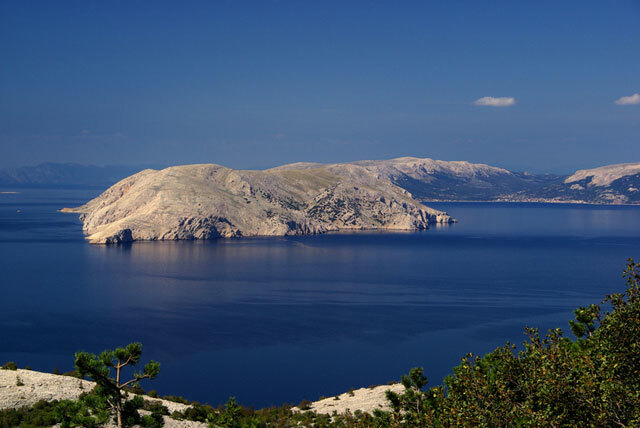 There is a ferry service linking Krk with the beautiful neighbouring islands of Rab and Cres. Krk island is a popular tourist destination with many fine historical towns and attractive beaches. The beaches are covered with fine pebbles, sand or flat rocks. For people holidaying with pets, it is interesting to know that some beaches are especially dog friendly, such as the pebbly Redgara beach surrounded by pine trees for shade. Holidaying on Krk island, there is really something for everyone. Ancient towns with narrow streets and squares, wonderful beaches, secluded coves, small family restaurants and taverns, even occasional night club or beach bar. Worth visiting are Krk town, Baska, Punat (large marina), Malinska, Njivice, Omisalj, Silo and small villages of Vrbnik (winery) and Brzac. Activities on the island include "Cable Krk" which is a recreation centre with a 650 m long cableway for water skiing and wakeboarding. Other activities include mini-golf, tennis, bowling alleys, horse riding, diving, sailing and fishing. There are cycle route and designated footpaths in many areas of the island. An incredible experience is 8 zip lines, with amazing views of Baska town, hilltops, woodlands, the longest zip line 700 metres long.